If there is anything I am truly thankful to have discovered, that would be beauty and skin care products. Especially for a millennial woman like me who finally reached the age of 30 this year. The years have taught me many things, but it sure was not all glitz and glamour. Nevertheless, that does not stop me from being a better version of myself. I used to waste so much time and energy on things that I could have done differently or efficiently. Not anymore. If you shop for your skin care needs on different stores, I used to be just like you! While I was never really a fan of window-shopping, I still shop when I have to or feel like I need to. Back then, you can expect to see me on different stores. Then commute my way back home. Before I knew it, I wasted a whole day already. How did I solve this problem? By shopping in my local CVS Pharmacy. Yes, you read it right! In fact, CVS Pharmacy is THE destination for drugstore beauty and NOT just a place to pick up prescriptions. I am sure quite a few of you have visited CVS before. But now, they have more to offer in beauty than ever before! There are dozens of NEW innovative and on-trend products are hitting the CVS shelves every month. There are dozens of NEW innovative and on-trend products are hitting the CVS shelves every month. From skincare products and a vast range of beauty tools to my favorites from NYX and e.l.f. – they really have it all! As a beauty blogger, I have tried numerous (if not countless) products from different brands. My enthusiasm has led me to a handful of trial and errors. The result? I have concluded that some products are highly overpriced and all that I am paying for is the hype behind the name. Then there are products that are not as popular but truly deserves all praise. Therefore, it all comes down to preference. If you wish to achieve the perfect makeup look and as they say it nowadays, “SLAY” without breaking your budget … CVS got you covered! In addition, I know for sure that a lot of you are too busy to keep shopping all around town. Being a military wife has earned me a “cramming and I don’t know what to do first” trophy. You bet I can relate to everyone’s situation. With all that on the table, I rounded up my must-have drugstore beauty finds. The following beauty haul is a result of a recent shopping trip at CVS! The best part of this post? CVS is offering an exclusive $5 coupon just for my readers! Save an extra $5 on your next CVS.com purchase with the code 5OFF, which can be layered with other weekly deals on the site so you may be able to save in a big way the next time you’re stocking up on new beauty! If you feel a bit overwhelmed and quite unsure which is the right product for your needs while you’re there … there is no need to worry! At select CVS stores, beauty shoppers can take advantage of personalized consultations and product advice from beauty consultants. If that is not enough to get you excited, these consultants have special training (skincare, haircare as well as fragrance) to help you find the right products to meet your unique needs. Now that you have read all the details, I would like to share my top 3-beauty secret to help you ace your look this fall! With very little effort and change, you can keep your skin glowing and guarantee to look fantastic! Add Color! Frame your face by creating a bold vivid lips using NYX soft matte lip cream. Add Glow! 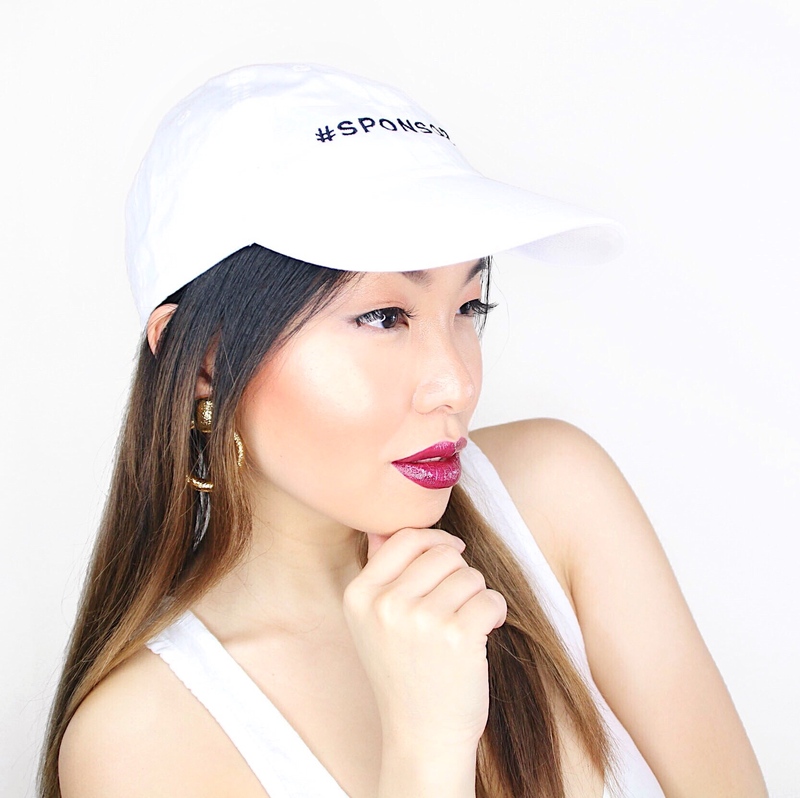 Keep that summer glow going by adding a bit of glitz using Physicians Formula glow pearls. Add definition! You can never go wrong with a cat-eye. Achieve the look with E.L.F. eyeliner & eyeshadow stick. Optional: add a subtle eyeshadow to make your eyes pop using E.L.F. prism eyeshadow palette. Now you are all set to look your best! If you enjoyed this post, I would love it if you can share it to your friends. Are you interested to see more beauty tips, ideas and inspiration? Make sure to check the hashtag #CVSbeauty across social media! You look absolutely stunning! I love how you did your makeup. Awesome CVS finds. Glad they are expanding their product range for beauty. Awesome haul! I love shopping in CVS. I have no idea they are they have all those great finds! I will check the beauty isle on my local CVS next time I go. Love this a lot! Great detail on the product haul and awesome beauty tips. I don’t normally check for beauty products when I am in CVS because I always associate it as just a pharmacy/convenience store. Thank you for sharing this! Very informative indeed!!! I will definitely let my wife know so she can easily try to buy products for her skin care needs while running errands. That way she don’t have to travel far to pamper herself. I love checking CVS for my beauty needs! Your makeup looks absolutely on-point! I love your beauty tips. Please do a tutorial if possible. I would love a tutorial for this look! I totally love that select store will now have beauty professionals! This reminds me of Sephora and Ulta … but closer to home. Very convenient! I hope they start offering this to more branches. What a stunning look! All those items are very affordable too. I know because some of those items I am already a big fan of. I will make sure to check the CVS in my area to find those other items. I don’t really shop for beauty products in CVS – because I didn’t know they have all these products! If I had known I would have a long time ago. Thank you for sharing this. This is one of the reason I love reading your blog. Awesome post! I didn’t know my local CVS carry all those products. I personally love NYX and need to stock up. Now it is easier to do so. Thank you! That is so great! People always think you need to sell your firstborn child for something from France to look good, but you really don’t. Love it. This is a great haul of beauty products. I wish we had a CVS here. They have amazing products at great prices. I love CVS. Often I stop there for one or two things in mind, but then leave with over a dozen. There is just so many things to look at. I love their make up section. They usually have some great coupon deals too. Which I love. I love the look you put together!! The pop of the lips is a great way to create a statement! Great haul from CVS!! You are great at applying makeup…me, not so much! lol I could use a trip to CVS for these products, they look great! I just love when you can find great beauty products for fraction of the price at drug stores. Can’t wait to try these! These all look like great products! I love the lip cream! What an awesome assortment! And all from CVS! I need to think about CVS more than just vitamins!! I had no idea that they carried so many products. My favorite would be the Burt Bees! I love the selection of beauty products at CVS. I try to get the majority of my makeup there to save money. Yea they have a biggest selection than even the beauty supply store in town. It’s crazy. I love shopping at cvs, they have TONS of great makeup brands! Your wing liner is spot on! Love it. That’s one of the many places I miss from the States is CVS looks at all those goodies?! My God, I am drooling over here 😀 They would cost double if not triple here in Indonesia. I love E.L.F and NYX, so affordable n such good quality for drug store makeup/skincare! It is great that CVS Pharmacy has more than just prescriptions and has make up! I like E.L.F and NYX because they are both cruelty free!